What’s up crypto enthusiasts? Today I will be introducing you to High Performance Blockchain. There is a lot to be excited about with HPB, but my goal is to provide you a narrowed down outlook of what I believe has the community most excited about in regard to the future potential of the project. I think the best way to do this is to break down the vision, significant partnerships, and the team that is making it all happen. As always, I urge you to do your own research and to invest responsibly. Often referred to as “The EOS of China”, HPB aims to solve the scalability problem that currently limits the fast growing blockchain space. Union Pay Smart (The big data section of Union Pay) and HPB have been collaborating on research and development with the common goal of figuring out how blockchain technology can solve a host of problems. An entire paper could be dedicated to identifying and understanding all of the problems that exist, but for the sake of time I have listed some of the main ones below. 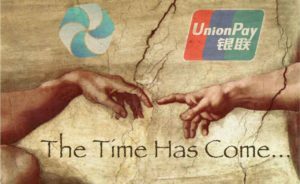 I will be completely honest…This partnership is what brought me to HPB. Many in the west are unfamiliar with what Union Pay is. This is the largest card payment processor in the world. They are bigger than both Visa and Mastercard combined. To understand just how big that is, let’s take a peek at the page 23 of the HPB white paper. This is what sold me. If what they state in the white paper is indeed reality, we could expect imminent adoption by the end of the year. NEO is an angel investor collaborating closely with HPB to see how they can both work together to find scalability solutions. HPB will support NEO virtual machine. The International Finance Corporation, a sister company of the World Bank Group, is also listed as a partner on www.hpb.io. In a press release from July, HPB elaborates a little further on their collaboration with IFC. The visionary behind it all is somewhat of a mystery in the western world, but that is not the case in the Chinese blockchain circles. 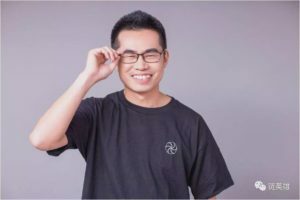 Along with being the Co Founder of Union Pay Smart, Xiaoming Wang is best known for being one of China’s early blockchain evangelist. He is the author of multiple blockchain development guides and is considered to be one of the original pioneer’s in the space. His connections to Union Pay and expertise in the field of Big Data has a lot of us in the HPB community bullish on the projects ability to lock down more significant partnerships for the future. When you get a chance, check out Xiaoming’s speech and presentation at the BOE accelerator launch event to fully get a grasp on his vision for HPB and how they can serve the blockchain industry. With mainnet now successfully launched in late September, the community is looking forward to hearing more information on TPS, adoption, and improvements in Western brand awareness. TPS – As for transaction speed, the team was happy to confirm that they had reached 20,000 TPS in their test net environment but aired on the side of caution when releasing this information. Many projects offer inflated and exaggerated TPS number despite not having tested under a stressful conditions. They were quick to remind the community that there are still steps they have to take in order to fully optimize the network before they officially announce an accurate number. “The team is currently still helping BOE owners to properly set up and connect to the network. Once that is done, we can disclose actual current TPS numbers. We prefer to provide accurate and proven numbers, so that we tell an honest story to the community.” – Danny Rowshandel, Managing Director at HPB. Adoption – There are several exciting developments in regard to adoption of HPB. The biggest one highlighted so far is Union Pay Smart which plans to build a dapp on the network by the end of the year. Banyan Network, a big data fusion blockchain project, mentions in their white paper the possibility of migrating from Ethereum over to HPB after the network matures. You can find the full list of ecosystem partners on their website http://hpb.io/ecoystem. Marketing – This has never been a strength of theirs, but this seems to be changing. They have recently made some additions to their team to improve the language barrier that has bottlenecked information flow to Western investors. Be sure to follow Danny Rowshandel and Julien Passange on Twitter for future HPB updates. These two are helping with international business development and they are focusing their efforts in both Europe and North America. They will also be helping with community updates and marketing moving forward. What do you all think? Does HPB have what it takes? Let me know in the comments.